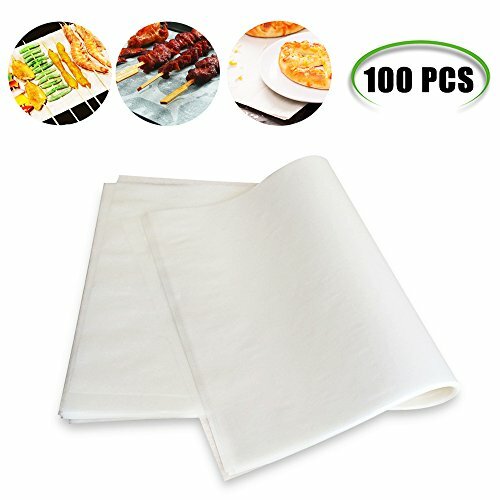 100pcs 12" x 16" pre-cut natural parchment paper sheets with non-stick coating, easier to use than the parchment rolls, prevent wastage and save time. Parchment paper sheets are unbleached, biodegradable, and greaseproof with light vegetable grade silicone coating, environmental and healthy. Prevents delicate baked good from sticking to the pan, and easy to use and clean, just remove the paper and throw away after bakining. Withstands temperatures up to 428 degrees Fahrenheit, will not burn or curl, more durable than others in the market. Use them to roll-out dough, line baking sheets, decorate cookies and even wrap your finished creations for a beautiful gift. If you have any questions about this product by Weoxpr, contact us by completing and submitting the form below. If you are looking for a specif part number, please include it with your message.